Reuse Programs Help More Than Just Mother Earth | Where It's AT. The Ability Tools Blog. It’s that time of year the again, time for spring cleaning! What better day to spring into cleaning than Earth Day? For close to 48 years, Earth Day has been observed on April 22nd and is a day where people around the world celebrate environmental movements and build awareness around environmental issues. 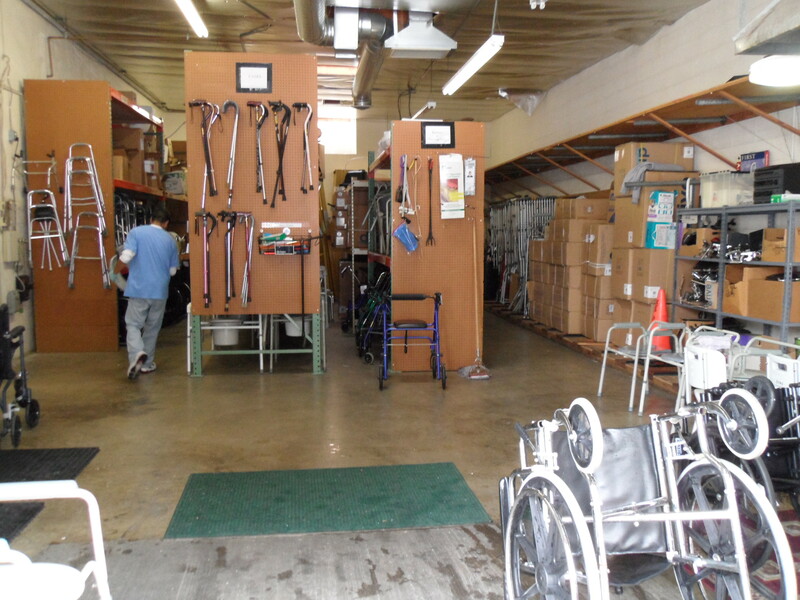 Ability Tools is proud to say we assist in the process of reducing, reusing, and recycling through the California Assistive Technology Reuse Coalition (CATRC). CATRC supports organizations that accept and give out donations of assistive technology (AT) and durable medical equipment (DME) to people in their communities for free or low-cost. The CATRC believes Californians who are uninsured or under-insured can benefit from clean, used devices and that the practice of reuse reduces waste, which is good for the environment. The organizations that CATRC support are vital in assisting individuals like Maria in getting the equipment they need. On February 22nd of 2017 I received a call from a client named Maria. Her mother, Maria Sr., was going in to the hospital for a knee operation. She needed a commode and shower bench to be able to recover at home after her operation. If she did not get these items, she would need to stay at a facility until she got better. Maria Sr. is in her eighties and is trying to stay at home as long as possible. She is living alone in an apartment with the help of her daughter. I realized that she needed these items sooner rather than later. I checked on our Assistive Technology Reuse network and found that we had a shower stool and a commode available for them. I found that the client was located in South San Francisco. Maria was not available to come out to San Mateo that week to pick up the items. I was going to San Francisco that Saturday and scheduled with Maria for a drop off at her house on Saturday. On Friday I went to our storage unit and picked up the items and then on Saturday afternoon, I went to Maria’s house to drop off the items. Maria invited me in and I saw a picture of a Puerto Rican flag. It turns out that we are the same nationality and we spoke about where to find good Puerto Rican food in the Bay Area. We spoke about her mom’s operation and how much this means for her mother to stay at her home during the recuperation. Maria was very happy we were able to provide these items for her mother and was thankful that we offer a Reuse program. – Vincent Lopez, Assistive Technology Coordinator at Center for Independence of Individuals with Disabilities, San Mateo. Due to these various Reuse Programs throughout California people are able to donate gently used devices instead of trashing them. For the year of 2017, the Reuse Programs across California were able to successfully repair 42 devices, keeping over 7,000 pounds of equipment out of landfills. This also saved individuals over $120,000 by providing them with recycled equipment. 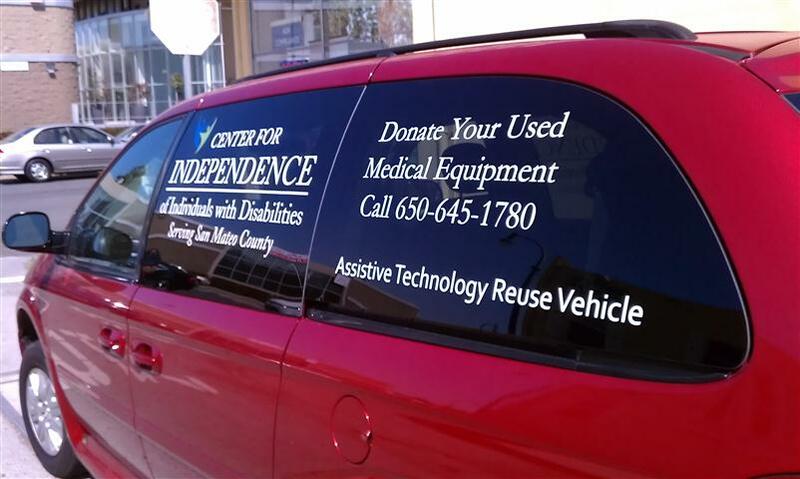 If you are interested in learning more about the CATRC and to find a list of Reuse Programs near you check out the California Assistive Technology Reuse Coalition webpage. ← Free Telecommunication Solutions, Anyone?